Keeping your elevators in optimal working condition is vital to the productivity of your business and moving people in and out of your building, whether they’re customers, employees or residents. Looking to avoid a sudden elevator stop, stall or break down? Follow these five easy tips to to ensure proper maintenance and safe and secure travel. Tracking how often it gets called for issues and how much it’s used is a helpful way to diagnose any problems. Your elevator repair service can easily refer to this log to get to the solution quicker, and you won’t be caught out without operating elevators in your building. You’ll also be able to find any recurring patterns, such as problems occurring during peak usage times and odd sounds that might pop up at regular times of the day. Match this up with your daily elevator logs, and you’ll never forget to do either! When inspecting your elevator, make sure there’s no vandalism and everything’s in normal working condition. Track even the smallest changes to keep your eye out for any patterns. The bulbs that light switches and buttons will eventually burn out. Cab lights may burn out or break. It’s imperative that both of these things are repaired by your contracted elevator repair service as soon as possible to prevent accidents or nuisance complaints. 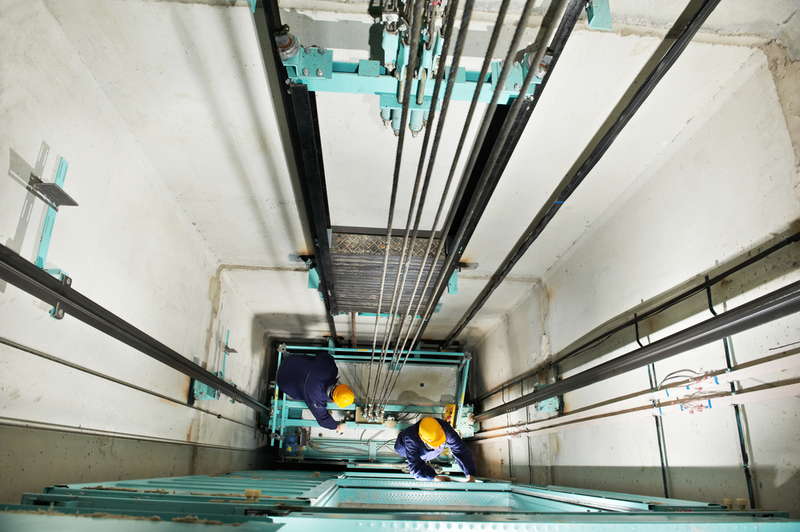 The internal mechanisms of an elevator can be prone to corrosion when an unexpected or harsh substance is used. Strong industrial cleaners can cause corrosion and lead to internal mechanical failures. It’s best to completely avoid using cleaners on elevators unless you have a recommended cleaner from your elevator contractor to use. Get your elevator repair service to give you the tick of approval for any cleaners used. If your elevators are used for transporting goods or general heavy items, make sure the staff managing this process are aware of the weight guidelines for your elevators. Overloading an elevator can cause an accelerated wear on the mechanisms allowing to work smoothly, without bumps or pauses. In its worse case, this can cause a very real risk of danger to occupants inside of the elevator as it moves. What’s the general rule of thumb? Avoid transporting anything that weighs over a quarter of the elevator’s total maximum capacity in the elevator. You should consider installing another dedicated service and maintenance elevator to accommodate for these needs, if they are necessary to your building or business. At Orbitz Elevators our technicians are highly experienced professionals who are experts at maintaining lifts and keeping them performing at their optimum. Check out our Maintenance page for more information about our services.